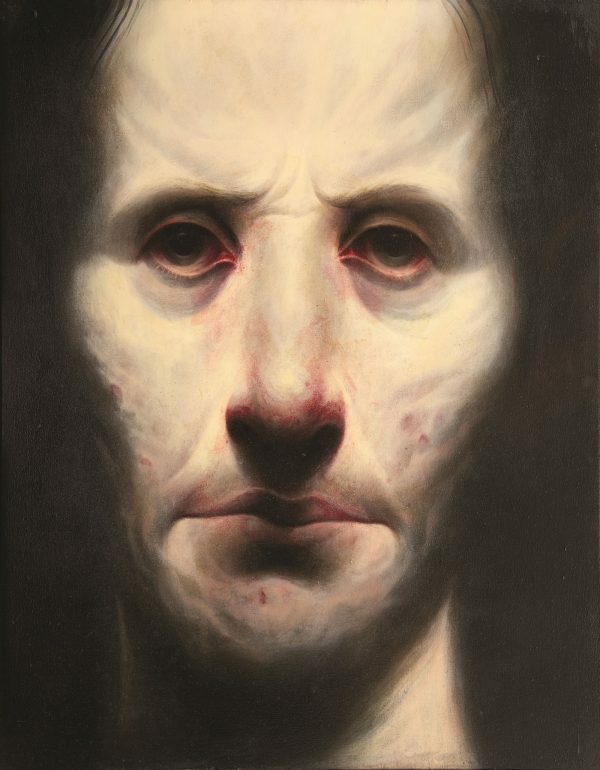 Ken Currie’s work is both provocative and harrowing, dealing with social and political issues and raising philosophical questions. His kind of portraiture is not circumscribed by a diplomatic need to flatter or accentuate the positive, rather it is a close, uncompromising scrutiny of the face which raises issues of ageing and illness. Labelled one of the New Glasgow Boys along with Peter Howson and Adrian Wisniewski, with whom he studied at the Glasgow School of Art.